Davis Instruments Support, FAQs and Troubleshooting - I forgot my WeatherLink.com username and/or password. How can I get them back? All Categories ​>​ FAQ ​>​ WeatherLink.com ​>​ I forgot my WeatherLink.com username and/or password. How can I get them back? If you enter an incorrect username and password, there will be a link to an account recovery form where you can have your login information sent to the email address you entered when you created your account. You will see the "Recover" link if you enter the wrong user name or password. 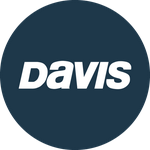 If you also forgot your email, contact our Tech Support at (510) 732-7814 or support@davisinstruments.com. To reset your password, click on the password link in ’Forgot username or password?’ section located on the sign-in page. After entering your email and clicking ‘next’, we will send you a link to reset your password to the email address you provided. If you want to retrieve your username, click on the username link in the ’Forgot username or password?’ section located on the sign-in page. After entering your email and clicking next, we will send your username to the email address you provided.